In college I was caught, on more than one occasion, borrowing my roommate’s tweezer to get my brows “perfect” before a big night out. I had my own tweezer, of course, but hers was better. Hers was made by Rubis. Rubis, a Swiss company, began making their precision tweezers to help Swiss watchmakers place ruby stones into the delicate mechanism. 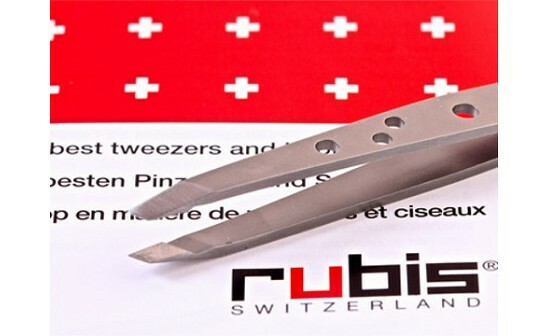 You can imagine just how good these tools are at gripping and removing even the finest fuzz.. Rubis makes tweezers in a number of styles, but our favorite offers perforations on the arms that let you get a better handle on it. The slanted and carefully aligned tips let you grab every hair close to the root, which makes plucking more precise, and less painful. And the high quality surgical stainless steel won’t rust or corrode. If you have a so-so tweezer now, this one is worth the upgrade. If you wax, you’ll find this is just the thing to get rid of those pesky hairs that escaped notice. Don’t borrow it, get your own. It might just be the last tweezer you’ll ever need. Once I got to test out the Rubis tweezer I knew it was going to be the beginning of a long and beautiful friendship. It's precise, it's easy to use and it will now replace the four other tweezers I've purchased over the years. I like the sounds of these tweezers. I have been using this tweezer for 10 years. Can't live without it!! And they last along time if you protect the tips. oh, I am a big believer in a groomed brow. I think I'm going to have to invest in these tweezers. 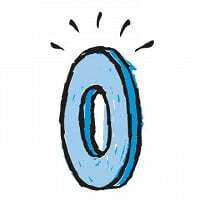 love this site, keep the grommets coming! In college I was caught, on more than one occasion, borrowing my roommate’s tweezer to get my brows “perfect” before a big night out. I had my own tweezer, of course, but hers was better. Hers was made by Rubis. Rubis, a Swiss company, began making their precision tweezers to help Swiss watchmakers place ruby stones into the delicate mechanism. You can imagine just how good these tools are at gripping and removing even the finest fuzz.. Rubis makes tweezers in a number of styles, but our favorite offers perforations on the arms that let you get a better handle on it. The slanted and carefully aligned tips let you grab every hair close to the root, which makes plucking more precise, and less painful. And the high quality surgical stainless steel won’t rust or corrode.